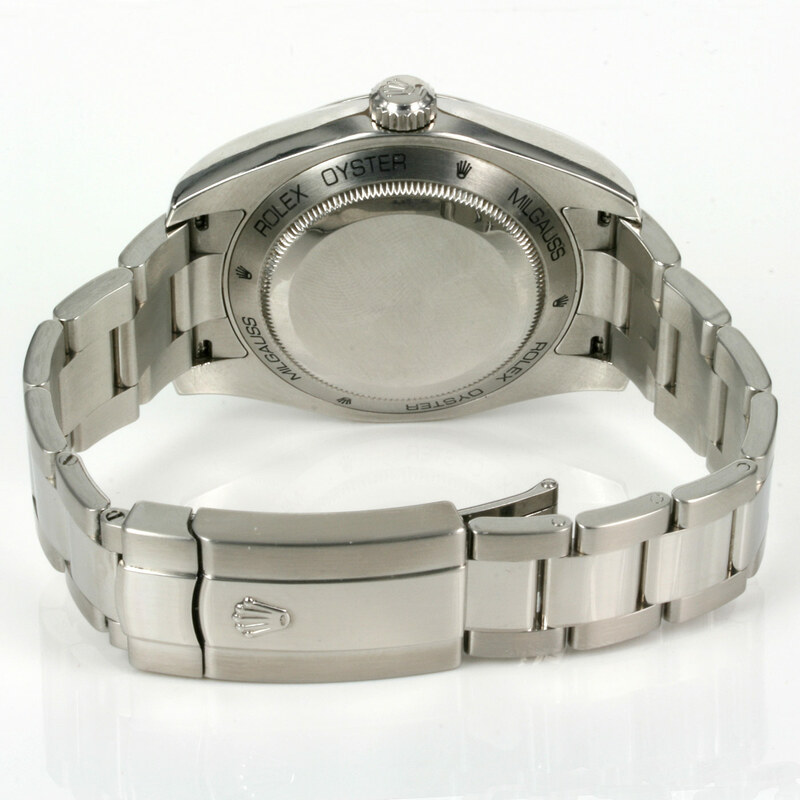 Product code: W352 Categories: Sold Items, Sold Rolex Watches. Designed by Rolex in 1956, the Rolex Milgauss was designed for people who worked in an area of high magnetic field such as power plants and research labs where the magnetic filed could wreak havoc on the accuracy of the watch. And here is a great looking Rolex Milgauss model 116400 with the white dial complete with its box and papers. This Rolex Milgauss has such a fantastic clean look to it thanks to the stainless steel Rolex Oyster band, combined with the smooth bezel and white dial with no date window. To complete the look of the dial, it has the infamous Rolex lightning bolt sweep second hand. 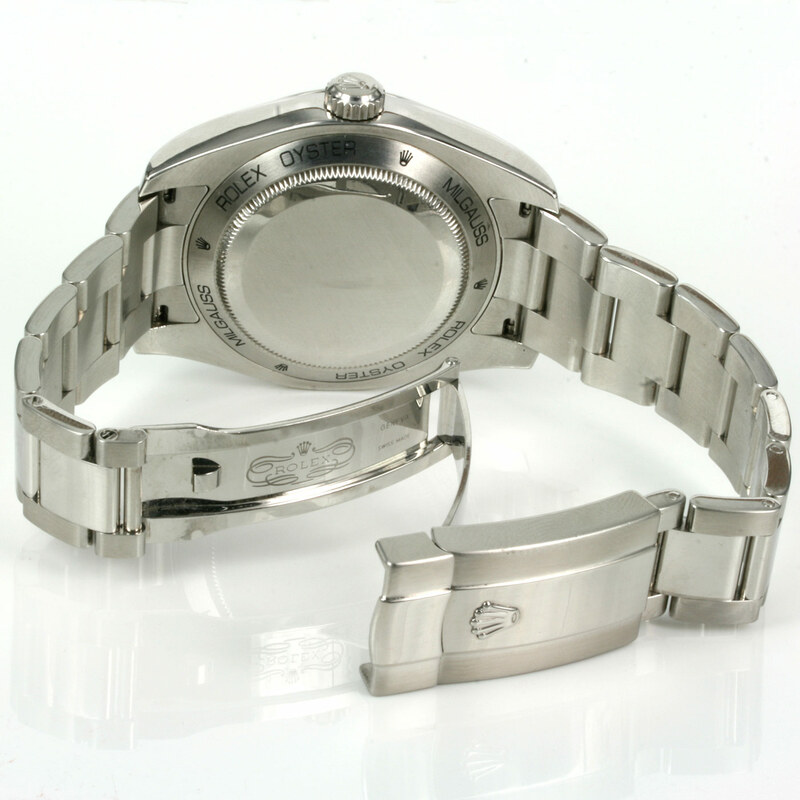 The case itself measures 40mm across plus the Rolex screw down crown and has such a fantastic heft to it that feels so comfortable to wear and with the white dial is so easy to read day or night. 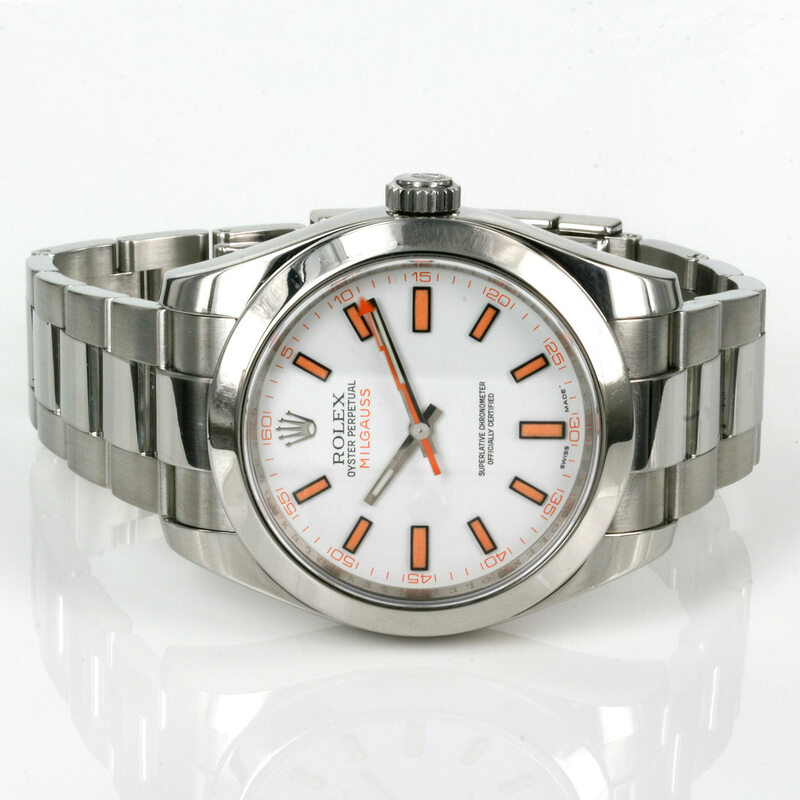 With full box and papers and 12 month warranty, this Rolex Milgauss is a great looking watch for any occasion.